In the American agricultural industry, pesticides are often liberally applied to crops in order to help keep common pests away. One group of pesticide compounds called neonicotinoids is highly toxic to honeybees. They were first introduced in the 1980s by the chemical company Bayer, and as of 2008 comprise a quarter of the 6 billion dollar global insecticide market. One of the main neonicotinoid compounds used in the cultivation of maize — or corn — is clothianidin. Nearly every maize seed is coated in either clothianidin or thiamethoxam, which metabolizes into clothianidin in insects. A study by Krupke, et al. concluded that the amount of neonicotinoids found on a single seed is sufficient enough to kill 80,000 bees. These numbers are based on a one time oral dosage. In the wild, bees would never ingest such a large amount of neonicotinoids at once. Honeybees would normally collect pollen containing trace amounts of clothianidin and bring it back to the hive. There, the pesticides would be spread throughout the hive in small continuous doses over longer periods of time. Although this method of ingestion is not as lethal, it is still worth studying to see the possible effects of long term toxicity. Researchers analyzed apiaries in Indiana during the peak period of maize planting between late April and early June. Clothianidin and thiamethoxam were found in both the bees and pollen. In an effort to determine how these compounds are being exposed to bees, samples were collected from a variety of potential exposure routes near agricultural fields. The largest exposure route affected foragers from spring through the end of summer and was caused by the high concentrations of neonicotinoids present in waste talc. In agriculture, talc is used to ensure the steady flow of maize seeds when planting and acts as a dry lubricant as well as a drying agent. Neonicotinoid coatings are incredibly susceptible to any moisture in the air, which is compounded by the large volumes of air flowing through the seed planters. If enough moisture is absorbed by the coatings, they become sticky and will clog the planter. The talc is expelled into the environment either with the seed when planted or behind the planting machine and thrown into the air from an exhaust fan. Once the talc escapes the planter, it can easily traverse the environment since it is in fine particles. 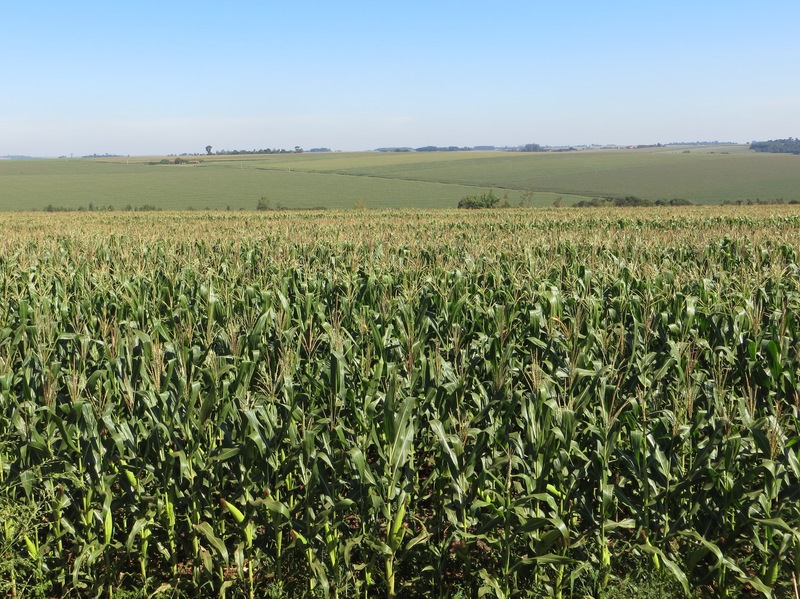 The talc and soil dusts being tossed up in the air from maize planting have the largest potential to contaminate common flowering plants surrounding the agricultural field. Bees living in areas where this form of planting is common often bring pollen containing neonicotinoids to the hive. Pollen containing the neonicotinoid levels found in this study is shown in other studies to impair pollinator health. The study also shows that clothianidin is present in the surface soil of agricultural fields long after treated seeds have been planted in that field. Even in fields where no treated seeds had been planted for two growing seasons, clothianidin was still present in high levels. The combination of the high mobility talc and concentrated levels of neonicotinoids carries potential for spreading compounds much further than the actual boundaries of the production fields themselves. If this behavior continues, pesticide poisoning of hives will only increase and more colonies will fail. Maryland, however, has banned the use of all neonicotinoids for consumers in an effort to combat insecticide poisoning. While many farmers are exempt from the regulation, it is still a crucial step towards removal and replacement of chemicals shown to harm honey bees. If more states follow in the footsteps of Maryland, we may see fewer hives falling victim to our agricultural practices. Another option, which does not involve banning popular insecticides, is to change the methods of planting maize. Collecting the talc powder instead of tossing it into the air would make for an easy disposal and significantly reduce the risk of it coming into contact with foraging honeybees. We have yet to see what changes the future holds for agricultural practice and policy.